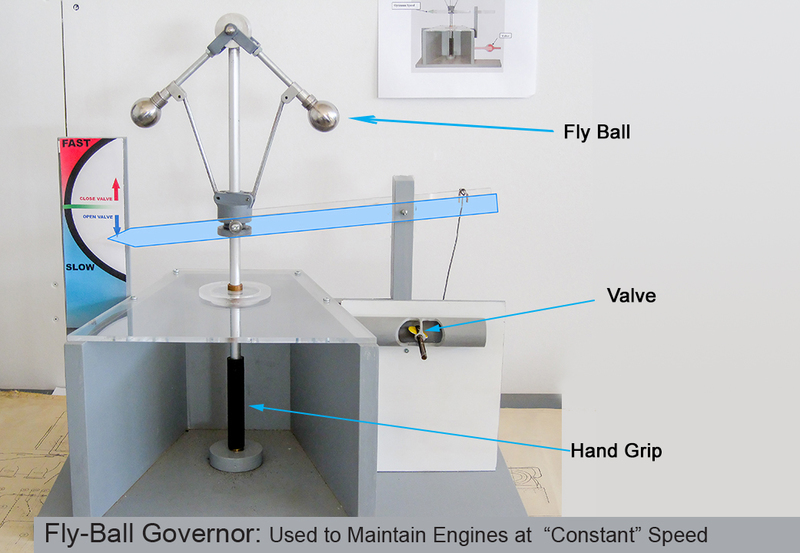 Flyball Governors are used to maintain Engines or Turbines at a ``constant`` speed. The faster the shaft is turned the farther out the balls will swing. Do to centrifugal force. This motion is transmitted through linkage to close a valve supplying Steam or Fuel to an engine.